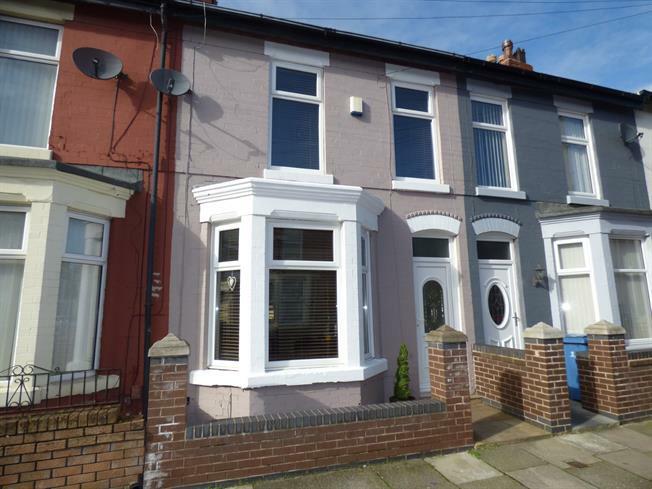 Entwistle Green are delighted to offer for sale this modern mid-terrace house for sale. Located in Walton, this would make an ideal first time buyer or family home and viewings are highly recommended. The property has been modernised to a high standard including the kitchen, bathroom and general decor throughout. In brief, the property comprises of; Entrance hallway, Living room, Dining room and Kitchen diner. Upstairs there are three bedrooms as well as a family bathroom. Externally there is a rear yard. UPVC bay window unit, ceiling light fixture, wooden flooring, wall radiator. Wall mounted electric fireplace. Wooden door, uPVC window unit, ceiling light fixture, wall radiator, wooden flooring. Wooden door, uPVC door, uPVC window units, ceiling light fixtures, tile effect flooring. Wall and base cupboard units with stainless steel sink and mixer tap. Built in oven and hob unit with wall mounted extractor hood. Wooden door, uPVC window unit, ceiling light fixture, carpeted flooring, wall radiator. Wooden door leading to built-in storage cupboards. Wooden door, uPVC window unit, ceiling light fixture, wall radiator, carpeted flooring. Wooden door, uPVC window unit, ceiling light fixture, vertical wall radiator, tiled flooring. Ceramic toilet unit, bath unit with stainless steel taps, corner shower cubicle with glass doors and wall mounted controls. Ceramic sink with pedestal and stainless steel taps.